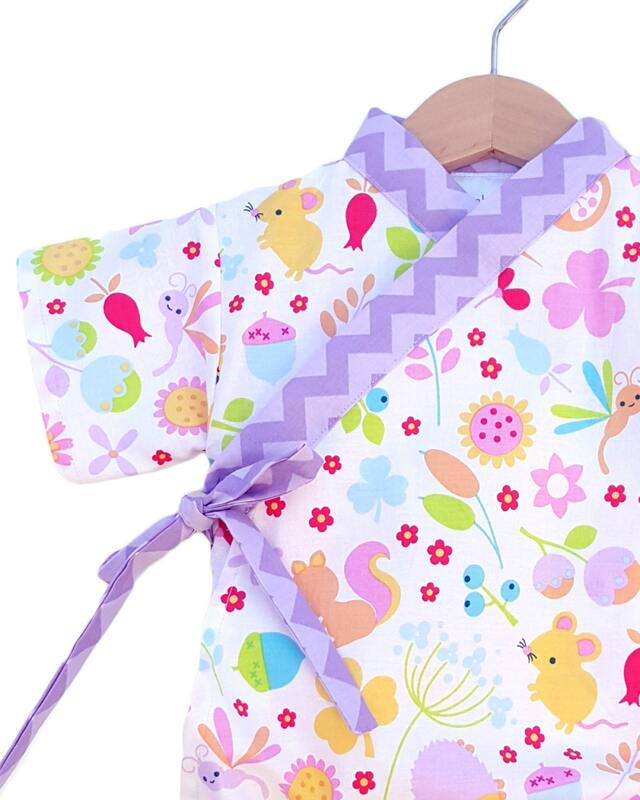 Adorable little animals and plants adorn this cute kimono. Paired with a lavender chevron stripe collar. Love love love these kimonos! Thank you!